Ozzy Osbourne has celebrated John Lennon's 70th birthday early by releasing a version of the former Beatle’s song “How?” for charity. Proceeds of the song, which first appeared on Lennon’s 1971 album Imagine, will go to Amnesty International. 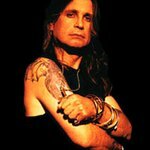 Ozzy has recorded a music video – shot on the streets of New York City – to accompany the single, which is currently available from iTunes. “Lennon was a driving force for humanity,” said the rocker. “This year the whole world is celebrating the 70th anniversary of John’s birth,” Yoko Ono added. "His spirit and influence is stronger than ever. " Three years ago, Ono donated to Amnesty International all of Lennon’s publishing royalties for “Instant Karma” – Amnesty’s album of Lennon compositions performed by many of the world’s leading artists including U2, R.E.M., Green Day, Black Eyed Peas, Aerosmith and Christina Aguilera. Amnesty International USA’s Executive Director Larry Cox said, "Yoko and John Lennon were devoted to seeking a better world and used the power of their artistry to work toward that goal. Ozzy Osbourne’s gift, with Sharon Osbourne's strong and generous support, makes the same powerful statement today – that individuals can make a difference when they join with others who share a commitment to justice and freedom."